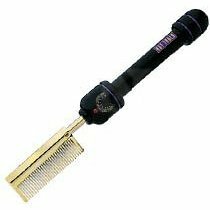 Gold plated comb for straightening even the coarsest hair. 10 heat settings. wide tooth comb. 8 foot cord.